We’re often asked, “how can I find out if my husband or wife, boyfriend or girlfriend is cheating/committing Adultery on me”? It can be very difficult to catch a cheating spouse. However, if you want to catch a cheater, it often helps to understand the nature of the problem at hand. Why is it so difficult to catch a cheating husband or wife? Flatirons Private Investigations documents the Adulterous spouse. Catching a cheating partner is difficult because cheaters have an unfair advantage when it comes to infidelity. In fact, most infidelity goes undetected, or unproven, because the rules of the game tend to favor those who cheat. In fact, some people work very hard to overlook a spouse’s infidelity, because to acknowledge the alternative is much too painful. This helps explain why the spouse is typically the last to know. Cheating spouses take advantage of this. Cheaters often exploit their partner’s desire to trust by telling their partners exactly what they want to hear (“I would never cheat on you.”). Cheating spouses exploit their partner’s desire to trust. There are few hard and fast signs of infidelity. Cues of infidelity vary widely from relationship to relationship, making it impossible to provide a useful list of behaviors that has a high degree of accuracy. In hindsight, however, the warnings signs always appear obvious. In fact, there are so many telltale lists of infidelity cues that it is hard to know what to believe. Given all the different lists that exist (including ours! ), it helps to keep the following in mind. Providing a list of the signs of cheating can, at times, be counterproductive. First, any given behavior is open to multiple interpretations. Does a spouse’s sudden interest in losing weight signal infidelity? Could it be due to some other reason? The explanation for any behavior is never as clear-cut as we would like to believe. Furthermore, looking for signs of infidelity tends to fuel one’s suspicions. For instance, does your spouse clear his or her call log after each call? Dwelling on such matters tends to make people more suspicious. The way people generally handle their suspicion ends up helping a cheating spouse. So, how can you catch a cheating spouse? If you suspect infidelity, many experts suggest to not confront your spouse until you have proof. While it is helpful to talk to partners about most relationship problems, this is NOT the case when it comes to infidelity. A cheating spouse will almost never admit to infidelity, unless presented with evidence to the contrary. Even when presented with evidence, some spouses continue to lie along the same lines. While there are many tactics that you can use to get a partner to be more truthful, these tactics usually fail to work when it comes to Adultery. 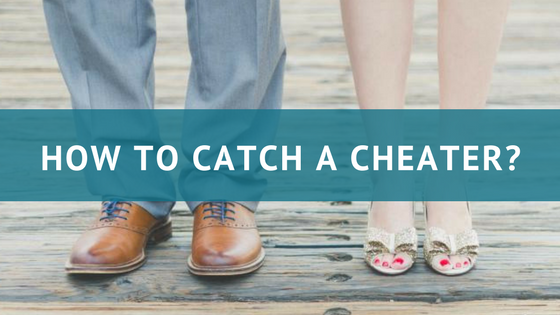 Despite these problems, there are several practical methods for catching a cheating spouse. All of these methods rely on some form of surveillance and investigation. These methods tend to be very effective. Hiring a professional private investigator that specializes in surveillance can answer your question in days. These methods allow you to establish proof of an affair.